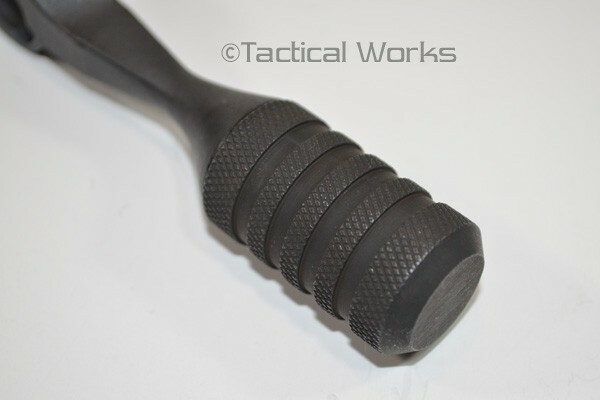 Savage Tactical Bolt Handle BA-Style (RH) :: Bolt Handles :: Savage :: Tactical Works, Inc. 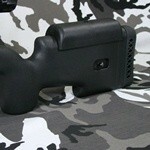 Ensure when you need a fast reload your bolt handle is easy to operate. 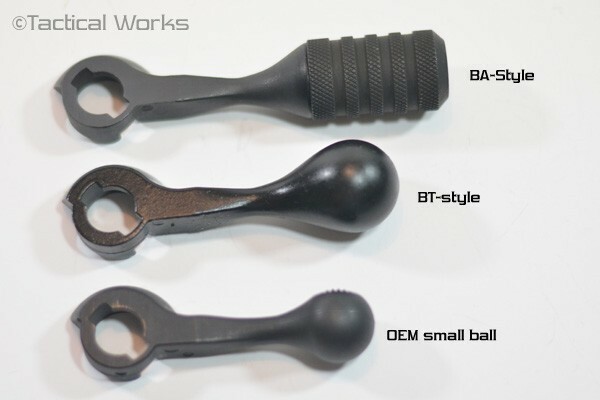 This design puts the bolt knob in easy reach for faster operation. 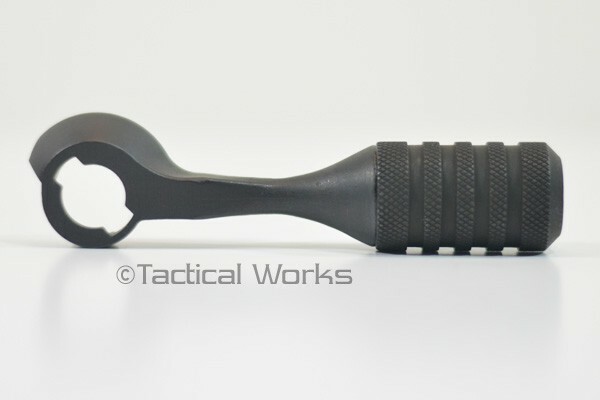 The additional length and knurled handle gives competitive and rapid fire shooters, or anyone wearing gloves, a sure, positive grip. Also helps with clearing tight or stuck cases. 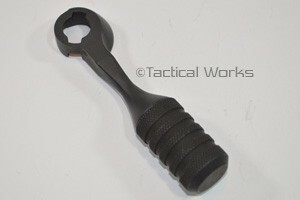 I put this Bolt handle on my Savage Stealth to smooth out the bolt lift. It works extremely well and solved the problem without a lift kit. The quality is unsurpassed and would recommend it to anyone. Advantages: Smooths out the bolt lift without a lift kit. Works perfect on a Savage Stealth. Easy to install Looks like it should have been on it. Advantages: Easier to bolt the rifle. Item as described! The process of changing the bolt from the original was very simple. The new bolt handle works great! 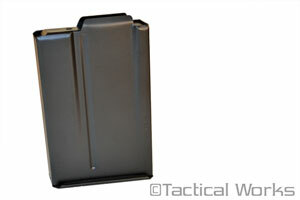 I ordered this product for a build I am doing on a 110 in .300 win mag. The product itself is great, no complaints regarding quality at all. Where tactical works really shimed for me was customer service though. I initially had trouble processing payment and a quick call to them help me resolve.the.issue and the person I spoke to there was extremely helpful and easy to talk to. I had to make a follow up call because I hadn't recieved my order within the specified time period. Again, the customer service was top notch. The person I spoke with was on the ball in finding out what the delay was and had it resolved in 24 hours. I will be certainly be doing business wit them in the future. 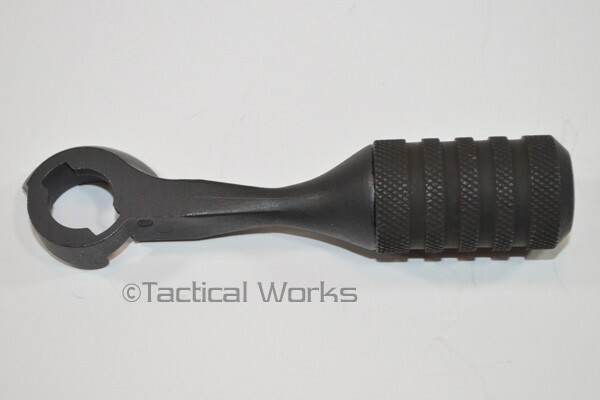 Outstanding Bolt handle and a must for any savage build!!! Overall bolt function is improved and this handle looks really good..... it is very high quality... Great service and product from Tactical Works!!!! Thank YOU! !